I am going to declare that some progress has been made in my debate with Dr. Walter Block over the true essence of anarcho-capitalism. 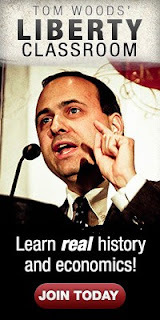 Dr. Block's response (Walter Block Responds to My Anarcho-Capitalist Post) to my most recent comments suggests that he recognizes that an "over-ruling body" does mean just that, an over-ruling body, and thus, at a minimum, minarchism, which is a subset of limited government, which is a subset of government. Re your latest contribution A Reply to Walter Block on Anarcho-Capitalism to our discussion about minarchism and anarchism. If I’m a minarchist, then so are you. 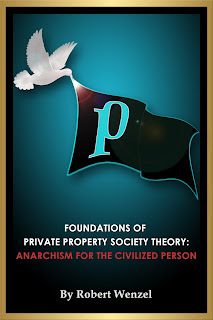 Your criteria for anarchism seems to be that there be “… no over-ruling body that can (en)force rules…” But, you, too, favor an “over-ruling body that can (en)force rules.” For example, how do we get to private property rights in the first place? Suppose I claim the moon, the stars the heavenly bodies, the oceans, the rivers, all the virgin land in Alaska, the Rockies, etc. Surely, my claim is not valid, because I have not homesteaded any of this terrain. But, surely private courts would be the “over-ruling body that can force rules” regarding homesteading. Suppose I claim property that some people already think is private property. Bob, I now claim the shoes you are wearing. They are really mine. How do we settle my claim, in the absence of an “over-ruling body that can (en)force rules?” Surely, only a (private) court should determine who is the rightful owner of the shoes now on your feet, no? He is correct in his belief that if there is an over-ruling body there is at least minarchism. But he is incorrect in his notion that I believe, like he does, that such an over-ruling body is required (although he does slip in the idea of a private court but seems to have a hidden implication that they are following some over-ruling laws). Dr. Block asks the question, "How do we get to private property rights in the first place?" This is certainly a more important question for Dr. Block than it is for me. I don't think he realizes it but he seems to have a neocon-ish zest to think his rules on how to determine private property should apply to the entire planet universe. I am far from so adventurous. When I think in terms of a Private Property Society, I am thinking of a society where current property ownership is generally recognized. I am not thinking about some theoretical land where new property is dispersed by some set and necessary standards. If Dr. Block wants to claim that the shoes I am wearing are his, he is free to do so, but he would never win with any serious agency that was competing for customers on the basis of being fair about private property. I would prove (perhaps by receipt) that I acquired the shoes via a legitimate transaction. There would be no agency that would take the case of Dr. Block here since they know they would lose if it went to court. And if he is so rich that he is able to get an agency to represent hin anyway, he would lose before the fair and wise judges. It is indeed very possible that many would approve of homesteading as the way new land should be parceled out. However, I am not convinced that is the necessary method, but that is a much longer discussion for another day. Setting this discussion of virgin property off to the side does not reduce the validity of recognizing current property ownership. If one wants to be technical about it, I suppose my view of a Private Property Society is thus one where current private property ownership is generally respected--and exchanges can take place from there . Our intellectual enemies claim that free market anarchism, or anarcho capitalism, would be chaos. You are playing into their hands. Without an “over-ruling body that can (en)force rules” chaos would result. But isn't our defense against the charges against free market anarchism detractors that they do not understand what an anarcho-capitalist society would look like and that it would not be chaos? That is my defense to those who object to a Private Property Society, such detractors simply fail to see what a Private Property Society would look like and that such a society without an “over-ruling body that can (en)force rules” would not result in chaos. Isn't it interesting that when two (REAL) libertarians debate, that it never gets down to ad hominems. It's about the IDEAS (see Chris Rossini just this week). I was discussing BernieCare with a fairly moderate (I thought) lefty and BAM! second exchange turned into "Why you badda badda yadda yadda..." nastiness. Maybe we're too nice? Nah. I'd not want to sink down to their level. You are both minarchists because you make laws that people have to respect private property and you expect them to be enforced. No one has to obey your laws in anarchism. I am demanding that people respect private property? You better re-read my post slowly.
" am thinking of a society where current property ownership is generally recognized." Current ownership is established and backed by law. You are taking those laws for granted. Some people will go to violent extremes to get their way and you need to be able to forcibly stop them. If you think you'll be able to sick your private agent on someone you've got another thing coming Robert. "Anarchism misunderstands the real nature of man. It would be practicable only in a world of angels and saints." You are waiting for a world which will never exist. We have to force people to respect life and private property.